Drop — Is the scale heat-safe? 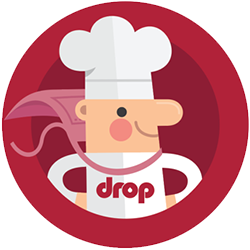 Drop Scale has a heat-resistant, kitchen-friendly silicone covering, and as a result, can withstand a pot of boiling water being placed directly on top of it. However, a hot metal container, such as a pan or a skillet, might be too hot if it is being transferred onto the scale directly from a naked flame. We would suggest allowing any metal container a few moments to cool down a little before being placed on your Drop scale.